Kings Park Cycling Club is based in Durban, KwaZulu-Natal, and is one of the oldest cycling clubs in the country. 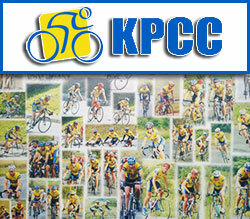 KPCC focuses on developing cycling and cycle racing, and provides members with regular Morning Rides, Training Camps, Cycling Trips, Cycling Tips, Cycling Kit.KPCC is the home club to World Champions, South African Champions as well as Provincial Champions. Thanks to Geoff Waters, the KPCC history started by Dave Huckett has been completed.